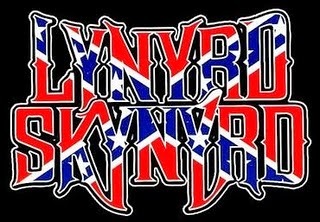 Lynyrd Skynyrd (pronounced 'lĕh-'nérd 'skin-'nérd) is an American rock band best known for popularizing the southern hard-rock genre during the 1970s. Originally formed in 1966 as the The Pretty Ones in Jacksonville, Florida, they then went through two name changes: The Noble Five and One Percent, before coming up with Lynyrd Skynyrd in 1969. The band rose to worldwide recognition on the basis of its driving live performances and signature tunes "Sweet Home Alabama" and "Free Bird". At the peak of their success, three members died in an airplane crash in 1977, putting an abrupt end to the band's most popular incarnation. "Sweet Home Alabama" was a major chart hit for a band whose previous singles had "lazily sauntered out into release with no particular intent". The hit led to two TV rock show offers, which the band turned down. None of the three writers of the song were originally from Alabama. Ronnie Van Zant and Gary Rossington were both born in Jacksonville, Florida. Ed King was from Glendale, California. "Sweet Home Alabama" was written as an answer to two songs, "Southern Man" and "Alabama" by Neil Young, which dealt with themes of racism and slavery in the American South. "We thought Neil was shooting all the ducks in order to kill one or two," said Ronnie Van Zant at the time. Where the skies are so blue and the governor's true"
Music historians point out that the choice of Birmingham in connection with the governor (rather than the capital Montgomery) is significant for the controversy as "In 1963, the city was the site of massive civil rights activism, as thousands of demonstrators led by Martin Luther King, Jr. sought to desegregate downtown businesses...[and] was the scene of some of the most violent moments of the Civil Rights Movement. Segregationist police chief Bull Connor unleashed attack dogs and high-pressure water cannons against peaceful marchers, including women and children; just weeks later, the KKK bombed a black church, killing four little girls." In 1975, Van Zant said: "The lyrics about the governor of Alabama were misunderstood. The general public didn't notice the words 'Boo! Boo! Boo!' after that particular line, and the media picked up only on the reference to the people loving the governor." "The line 'We all did what we could do' is sort of ambiguous," Al Kooper notes. "'We tried to get Wallace out of there' is how I always thought of it." Journalist Al Swenson argues that the song is more complex than it is sometimes given credit for, suggesting that it only looks like an endorsement of Wallace. "Wallace and I have very little in common," Van Zant himself said, "I don't like what he says about colored people." Music historians examining the juxtaposition of invoking Nixon and Watergate after Wallace and Birmingham note that one reading of the lyrics is an "attack against the liberals who were so outraged at Nixon's conduct" while others interpret it regionally: "the band was speaking for the entire South, saying to northerners, we're not judging you as ordinary citizens for the failures of your leaders in Watergate; don't judge all of us as individuals for the racial problems of southern society"